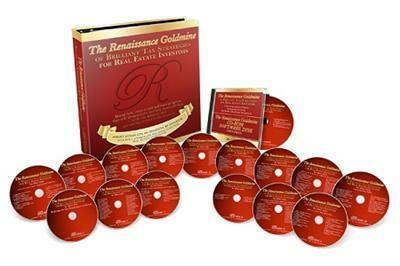 Al Aiello - The Renaissance Goldmine Final Version | Free eBooks Download - EBOOKEE! Posted on 2019-04-04, by fubber. "Al, your component depreciation method saved me almost $20,000 dollars in income taxes in one year. It helped me financially, having four girls in college at the same time." With Al's proven strategies, legally transform capital improvements into fully deductible repairs for huge savings, without IRS red flags. Fully deduct tax losses for any number of consecutive years (beyond 3) by completely side-stepping the IRS 3-out-5 year "hobby loss" limitations. "Al, what I great feeling to get a $190,000 rehab credit. It was like the government writing me a check for $190,000! Thank you so much." How not to waste deductions. With these techniques you "bank" your deductions for future years (when needed), instead of losing them forever! "My former CPA had documented (my tax returns) and portrayed my entrepreneurial endeavors as a dealer to the IRS and not that of a Real Estate Investor costing me several thousand dollars, and imminent amount of time required to correct the situation. If I had your system at the time, all this time and money expended would have been avoided! But glad I have it now!!" Create tax-saving strategies when buying and selling "Paper." "Al, because of your Goldmine we got an unexpected refund of $14,000 from deductions that we used to offset against our W-2 income and took us out of AMT. For next year we can drastically cut our withholding and increase our cash flow by about a $1,000.00 a month. Thanks"
MUCH MORE.to save you money! No comments for "Al Aiello - The Renaissance Goldmine Final Version".